New report numbers the IESO days, shows wind impacting Ontario rates | Mothers Against Wind Turbines Inc.
A new report on Ontario’s daily electricity sector demonstrates the shortcoming of reporting of the sector’s costs that contributes to the poverty of intellect in much too common communication on the sector. The new report is from me, and it is to provide consumers, and other critics, with a more intelligent summary than the little noticed “Daily Market Summary” produced by the province’s system operator (IESO). I hope some readers will work through the additional numbers as they can demonstrate the broad themes driving pricing in Ontario – and if some that do the work join a chorus calling for some transparency and meaningful reporting from the IESO, my work in creating the reporting will be somewhat justified. 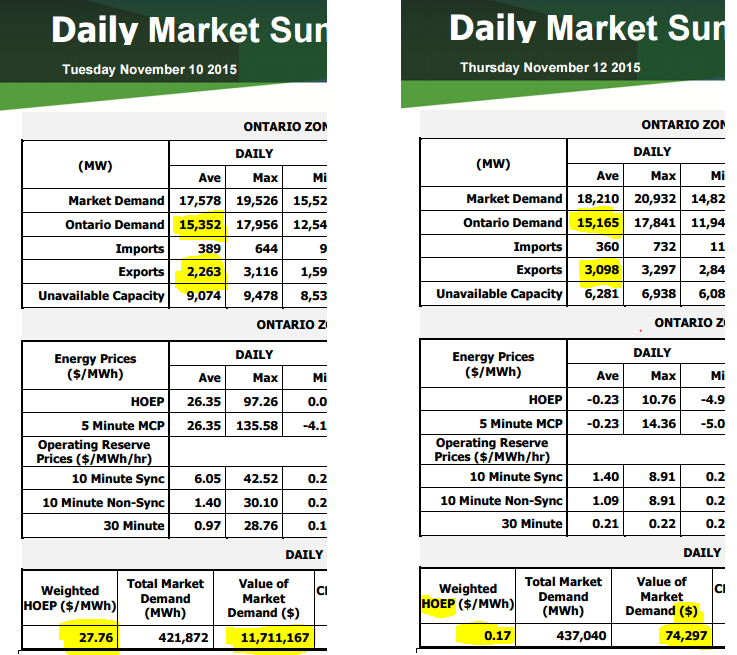 If one were to have no other information than the IESO Daily Market Summary reports for November 10th, and 12th, they’d think a little less demand – 187 megawatt-hours (MWh) – resulted in the price dropping $27.59/MWh to essentially free. Ontario’s demand for electricity did not change. 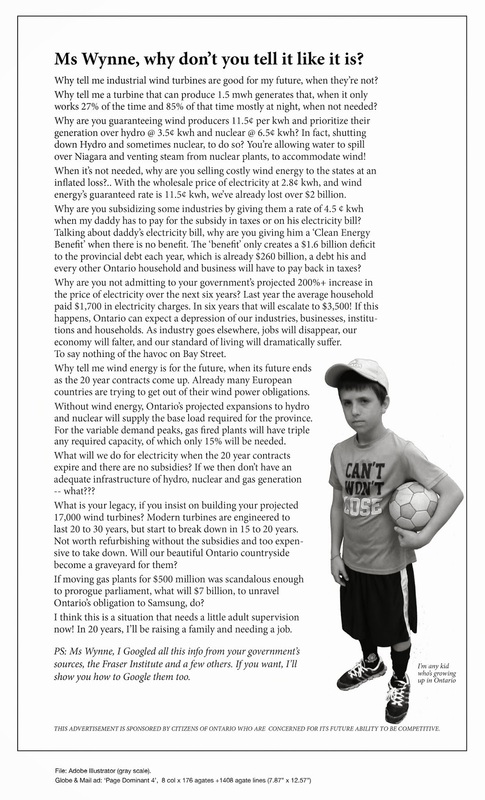 The IESO’s “demand” is not Ontario’s consumption, but the demand for supply from generators in the IESO’s market.